I don't think Jitterbug has a vn app. I have VN on old phone. Don't remember how I did it. Perhaps looking for a VN app might be your problem. You were probably using the Tapatalk app. Freak hasn't enabled the new Volnation for Tapatalk and doesn't plan to at the moment. 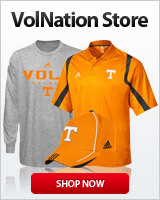 Just go to Volnation in your browser. The new site works very well that way. Yeah, we don't have an app. But like one poster said, you can add a shortcut to your home screen.